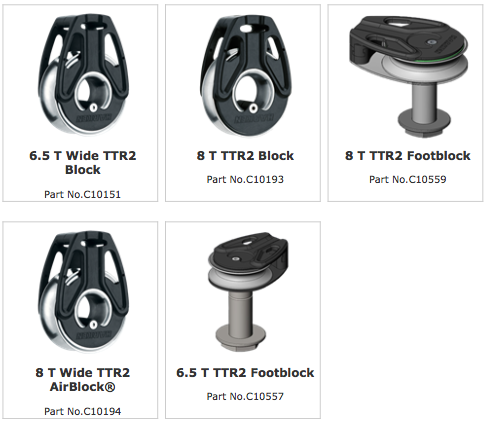 TTR2 Air blocks have evolved from Harken’s successful line of Titanium Roller Bearing blocks. Lightweight and strong, these compact load-bearing blocks are 98% efficient, harnessing power other blocks lose to friction. 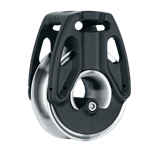 Titanium rollers handle bearing loads, while high-wear composite thrust bearings handle sideloads for reduced maintenance. ​Sideplates are 6061-T6 hardcoat-anodized aluminum for durability. The loop is lashed tightly through the block’s lashing window and, if a becket or fiddle configuration is desired, through the block’s hub. 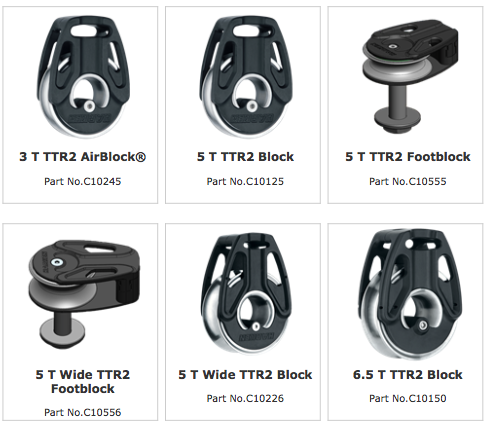 This increases block stability and keeps it from capsizing.